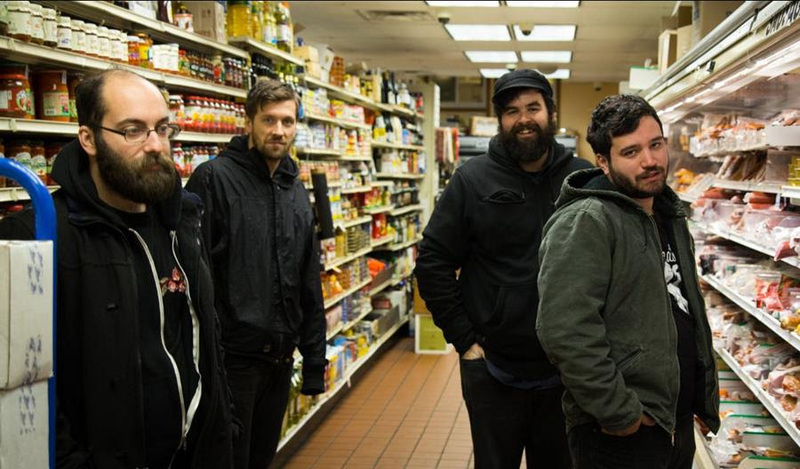 Boston cult heroes remain political, angry and just plain wild on new single. Pile are probably your favourite bands favourite band. Not a band willing to compromise with the mainstream's fascination with such passe and lacklustre cliche's such as "song structure" or "choruses", they've built an impressive and wildly dedicated fanbase from Boston outwards for over ten years now. This band are never gonna sell venues out over here and send critic's life support machines into a frenzy, that's just not the point. The point is to be a damn good band and they've consistently proved that over their remarkably prolific timeline of six albums in 12 years. That will be seven, come the end of May. And for any of you expecting Pile to have mellowed over this time, you're obviously one of the majority who just don't know. They have somehow defied musical logic and have made a starting point to get into them deep, deep into their musical careers. That's not to say that "The Soft Hands of Stephen Miller" is a commercial beckoning into the fury and disgust that Pile have to offer. If you want melody, go back to 2009's "Jerk Routine". This is for the fans of pure, fizzing, righteous anger channelled into a cacophony of violent, bile filled noise rock. A riff that doesn't really let up for two minutes is played on a chainsaw inches from your confused face, whilst Rick Maguire spits out his sheer hatred of the 33-year-old senior political advisor to the president. The video is equally as powerful as it's intense shots of the band interspersed with some of Miller's "smug racist" hate speeches propel the song from merely a diss track to something more primal in it's protests. Drums devoid of time signature, vocal chords being torn out right in front of you paired with desperate lyrics calling out a modern supervillain in such an honest way ("you don't have to be so vile and insufferable about it" almost seems like a friend calling out another in a pub if it wasn't spat out with such venom) is everything that makes a punk rock song a punk rock song in 2019. This isn't going to be their calling card for the masses to sit up and take notice. What it will do is reach those outsiders that Pile have not yet connected with and make them realise that this band is one hell of a force to be reckoned with. If this is your first taste, then go back and indulge.